When learning to play rhythm guitar, it’s important to understand something from the outset: Rhythm guitar is *not* a secondary role in a band. The rhythm guitarist sets the tempo and the basic structure of the song, so it’s critical to learn well and practice regularly in order to be the kind of rhythm guitarist that other band members can rely on. 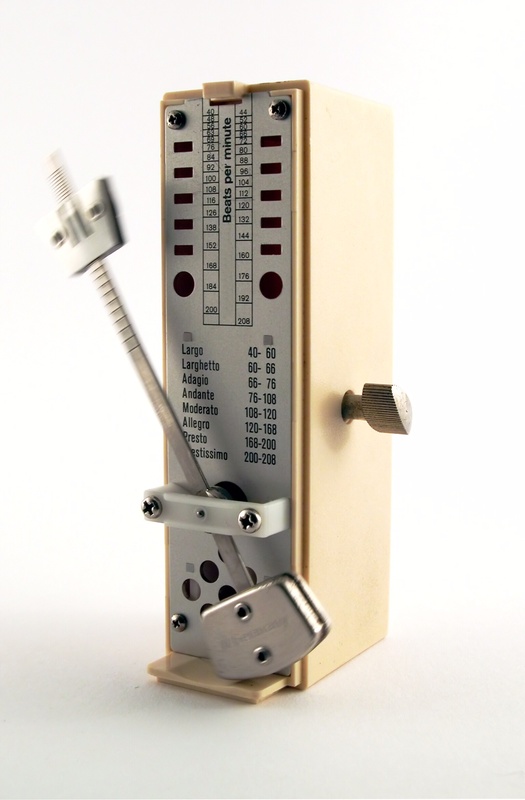 One of the most important “weapons” in a rhythm guitarist’s arsenal is the metronome. You can purchase a small electronic one or a more traditional wooden one with a metal arm. You can even find free online metronomes and aps for your smart phone. 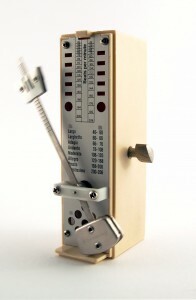 This adjustable tool will keep you in rhythm, especially in the early stages of your advancement. In addition, it will allow you to practice alone without the need for a drummer or bassist. Although a metronome will give you a visual cue as well, it is recommended that you use one that is loud enough to hear regardless of how loud you are playing. Another great way to practice is to play along with music or backing tracks. When starting off, it’s best to stick to basic styles. If you play rock, for example, you may want to start by playing along to early rock and roll songs, such as early (pre-1966) Beatles, Elvis or Chuck Berry. You may also want to consider straight ahead punk songs like those of The Ramones to learn basic rhythm patterns. Backing tracks are another great option. They can be downloaded online or purchased at many local music stores. Some contain just the drum and bass tracks, many include rhythm guitar as well so you can learn a song completely. These are exceptionally useful if you are also a singer or want to do the occasional solo. 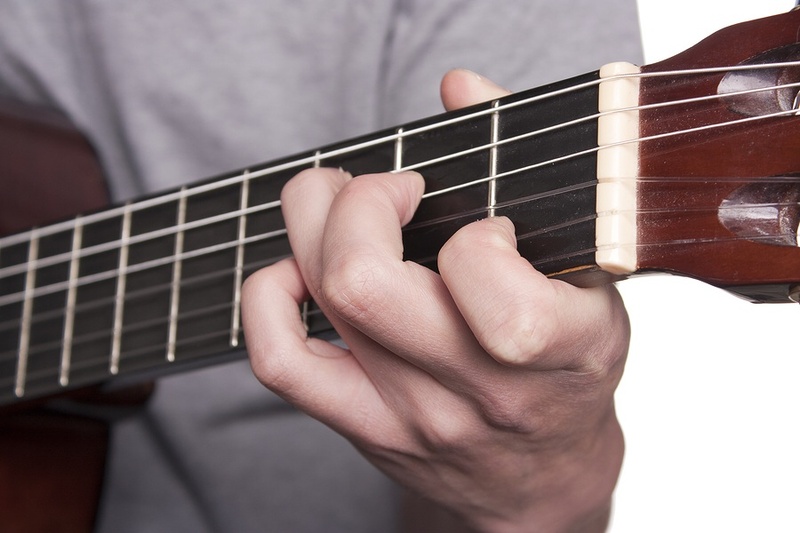 A large portion of your practice time should be devoted to learning and practicing chords. Start with basic open chords, and then progress to bar chords and power chords. Books and posters showing basic and advanced chords and chord progressions are readily available at local music shops. This is not a race. Take whatever time you need to learn basic chords before advancing to bar and power chords. The more solid the basics are, the better your advanced skills will be, and the more versatile player you will become. Once again, be patient and persistent! Once you have these basics in place, you can work on improving your overall playing style. Most guitar-centered songs have a basic 4/4 rhythm for strumming, so that should be your primary method. Once you have mastered all the aspects mentioned above, you can find songs with more complex chords and rhythms. With daily practice (20 minutes per day minimum is recommended), you will be quite surprised how quickly you progress. Enjoy!